Gestmusic, renewed! TM Broadcast Magazine. Gestmusic is a company that needs little to no introduction. The production of the programmes that have changed the television paradigm is their direct making. Operación Triunfo, Crónicas Marcianas, Tu Cara Me Suenaor¡Boom! 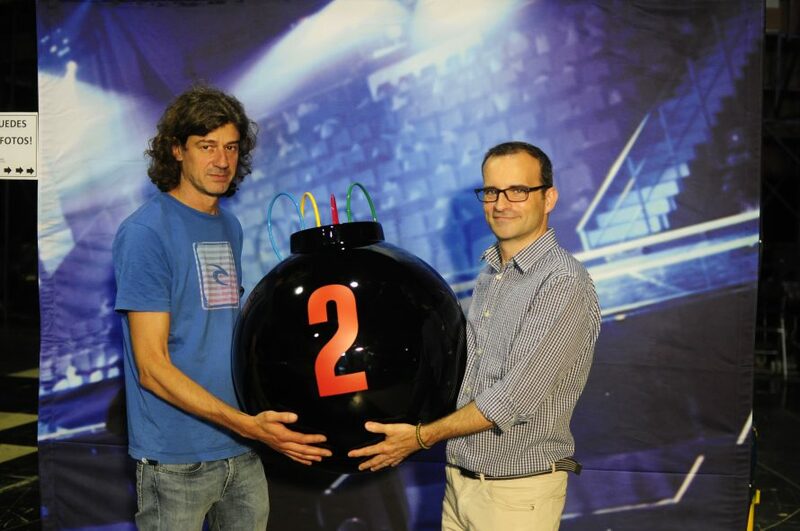 (which delivered the largest prize in the history of television in Spain: 2,300,000 Euros) are just a handful of examples. These formats have not only been a success in Spain but have also been exported to countries all over the world. 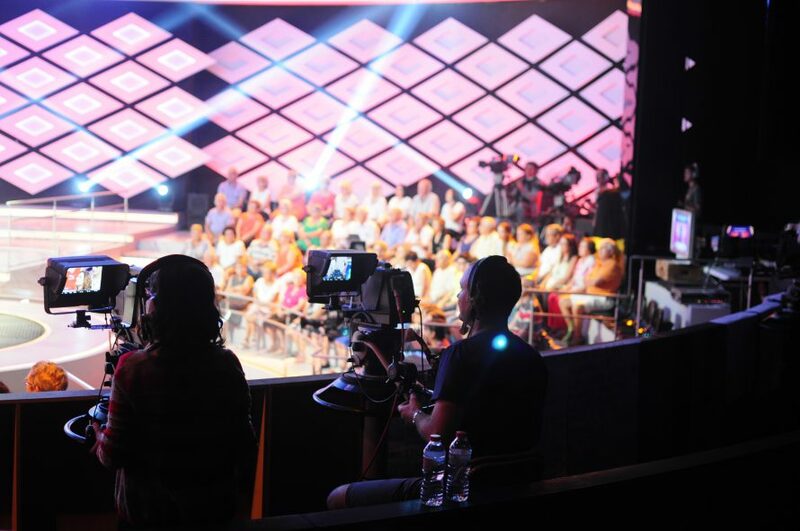 In fact, Gestmusic is currently filming programmes for Italy in their studios. Their facilities at Sant Just Desvern regularly houses up to three sets covered by the same technical equipment. The sets for ¡Boom!and¡Ahora Caigo!are currently assembled there. Although this may not be known to many, Gestmusic is also committed to training and creating new professionals in the audio-visual sector, offering training and internship contracts in very demanding real-world environments. We visited Gestmusic’s studios to talk to Pere Prat and Jordi Puigcorbé, Technical Director and Technical Chief of Television Sets, respectively, who have revealed the ins and outs of this project. Is having two operational TV sets working simultaneously a good formula? Pere: Indeed, because it enables us to optimise resources. Nowadays, productions have tight budgets and working in one studio is surprisingly practical at all levels, even logistically-speaking. It is all centralised, both in terms of internal and external resources that may be needed, like audience, for instance. Having one single space to manage, makes everything so much simpler. Jordi: We have a mobile unit far from standard. It is not a vehicle designed to provide service to external clients attending any type of event. This unit has been conceived as a studio on wheels, purposely designed for our needs and the productions we do here. It has several particularities such as spacious work areas, with special attention to audio, because one of Gestmusic’s strongest points is musical formats. It is all about making the most of the advantages of a studio with the versatility and mobility of a mobile unit. Pere: We can say that it is the ideal technique tailored to us. We do not have a replay system with slow motion, for example, and this type of equipment would have a more multi-purpose mobile unit to provide services. Our unit is equipped with 8 cameras but can cater for up to 10. We have a mixer with 3 M/E and two EVS XS3 servers with 8 channels each, for filming and playback. The idea is that if we lose one server, it is not a big deal, our production will not stop. Jordi: In fact, one piece of equipment would fulfil our filming needs, albeit with limitations, but it could be done. We are practically a contents factory, so we can simply not stop. We must bear in mind that a programme brings together a lot of people. For ¡Ahora Caigo!, for instance, there are 10 participants, plus the audience, plus the production team. This is why we have given our facilities so much thought, with the objective of continuing forward no matter what, even despite unforeseen problems.